Before implementing preschool or pre-K behavior charts for kids, it is important to determine what is appropriate behavior for a preschooler. Some children may be almost reading but not understand social graces, while others may not be as focused academically but are more sensitive to others. Preschoolers will develop uniquely and preschool behavior charts need to reflect skills each is personally ready to undertake. Preschool behavior chart printables are designed to be a simple visual reminder of behavioral expectations and how children are meeting those expectations. If you need help downloading the printable charts, check out these helpful tips. 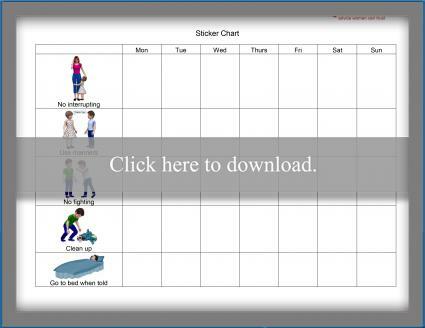 Behavior charts for preschool classrooms or for use at home can help teach kids correct behavior in a positive way. This chart can be used for a preschool classroom or at home. It consists of three levels: sunny, cloudy, and stormy. The goal is to end on the sunny level, and they will receive a treat (a sticker, piece of candy etc.). Every child starts the day with a fresh start on the sun. Children can be moved up or down throughout the day depending upon their behavior. Print out a picture of the child's face, and place it on the sunny level. When they misbehave they get a warning and have to move to the cloudy level. If they continue to misbehave they move to the stormy level. If you are using this in a preschool classroom, the students that are left on the stormy level at the end of the day receive a note home. 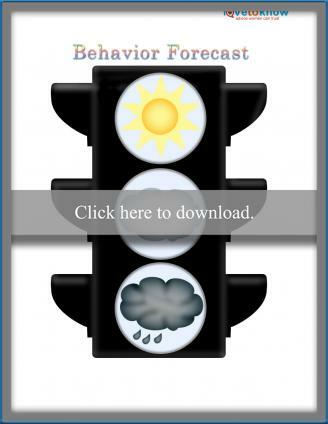 Click to download the behavior forecast chart. 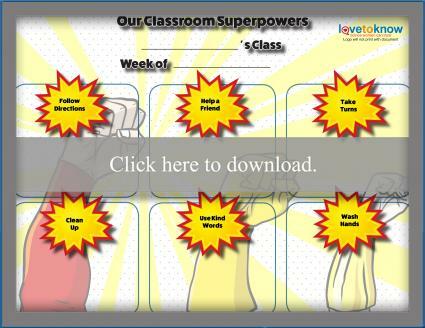 Use this editable Classroom Superpowers chart to focus on the positive behaviors exhibited by your preschoolers throughout a day, week or month. Under each superpower kids can add a small sticker or tally mark every time they exhibit that behavior. To help kids focus on the positives, you can also encourage kids to prompt a friend to add a tally when they see that friend showing off one of the superpower behaviors. At the end of your chart time period, talk with the class about which superpowers they did the most and which they could do more. Click to download the superpowers chart. The main way behavior charts work is when children learn to recognize and understand their own behaviors. 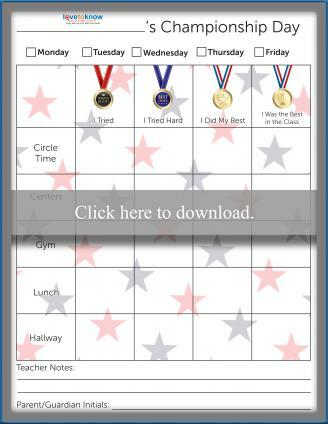 This editable individual daily self-assessment chart asks kids to evaluate their behavior in different activities throughout the day. Each student in a classroom can get one of these individual reports every day. 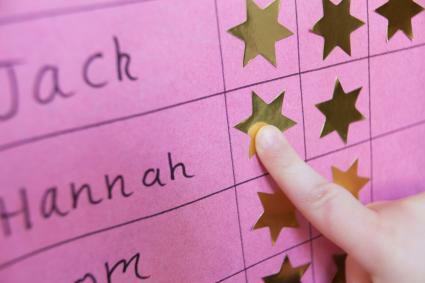 During private or one-on-one teacher time, kids should mark an "X" or use a sticker to decide which award their behavior warrants for each selected part of their school day. Teachers can then add an "X" in a different color to show how they thought the child did. Teachers and parents should discuss these charts with kids in the context of self-evaluation and perceptions. 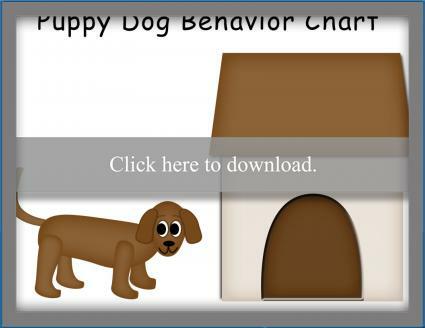 Click to download the behavior chart. This chart is for preschoolers to learn or improve one specific behavior identified by a behavior assessment or your observation. It consists of a mother dog having to collect her puppies and get them to the doghouse. The goal is for the child to color in one puppy for each day they complete the behavior or task (set the table, pick up toys, no running in the house, etc.). This chart is a great visual for preschoolers to see their progress and encourage them to behave appropriately. Choose one behavior to focus on and explain it to your child. Every time the child displays the desired behavior, they color a puppy, cut it out and stick it on the doghouse page. Once the child colors all seven puppies, he gets a treat. Click to download the chart. Sticker charts are a fun and easy way for preschoolers to know what is expected of them. Have your child place a sticker after the specific task under the day of the week they completed it. Once they have filled up each day of the week with stickers, you can reward them appropriately. Decorate a shoebox add fun items and have the child pick from the "prize box." Click to download the sticker chart. Today most education experts agree behavior charts should be used on a more individual basis and include some form of self-evaluation by the child. The shame and embarrassment that can result from public behavior charts in the classroom or common area at home don't really help enforce self-control and positive behaviors. Since behavior charts can make it easier for caregivers and kids to see and evaluate behaviors across time, there are many ways to use them on an individual and more private basis. Preschoolers don't have large attention spans, so keep charts simple with a few behaviors and a short time frame. A daily behavior chart that has a "three strikes" policy is a concept most preschoolers will comprehend. When three negative marks are on the chart, a simple punishment should take place, such as loss of preschool television shows for the rest of the day. The chart can also use "three strikes" to reward exceptionally good behavior. If there are three positive marks on the chart, a child may get to have extra computer time to play on his or her favorite preschool websites. For a child to learn appropriate behaviors and self-control, they need to be taught the rules, appropriate behaviors and alternatives, and how to evaluate their own behavior. Get kids involved from the start by letting them choose which behavior chart they like best, where to keep it, and what rewards or consequences go with it. If you are making your own chart, preschoolers can help by using safety scissors and cutting pictures out of old magazines or books of good manners and behavior. The idea is to let kids take ownership of their behavior by making the chart all about them, not about others or you. Discuss with the preschooler the chart at the end of each day. Talk about what they did that was good and what they did that wasn't acceptable. 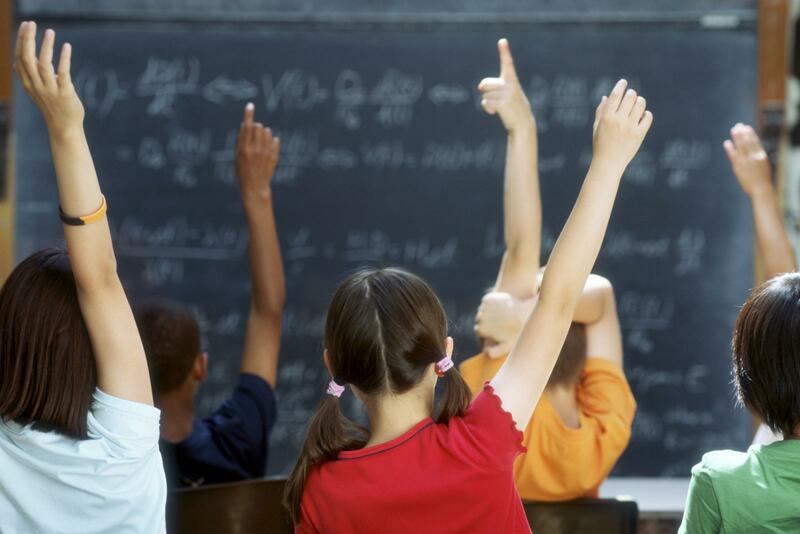 Explain why particular behaviors were given positive marks or negative marks. Talk about what the preschooler can do differently in situations that resulted in negative marks. Even though you're working with preschoolers, you can find and adapt behavior charts, sticker charts, and rewards charts to use with this age group. Every child is unique and their specific tools should fit them. Feel free to use a different chart with each child at home or in a classroom to account for individual development, abilities, and preferences. Parents and teachers may be hesitant to use a behavior chart, fearing how it impacts the child and what it says about the adult who's supposed to be in charge. However, many parenting advice experts will propose using a chart in order to make it easier for both adults and children to see results. Once your child moves past preschool, check out these free behavior charts for kindergarten and beyond.